This annual spring Peening day is a prompt for SABI members to renew their relationship with their scythes and mowing. Peening is a mysterious and elusive art, and can lead to some fairly obsessive and compulsive behaviour! To celebrate this and promote peening day I have put together a 53 second promotional video. I cannot however profess to be able to offer expert advice here on the secrets of peening. I have instead offered a few obsessive cleaning techniques; which as all who have been inducted into the art will know, you have to clean before you peen. And I am also guessing that some of you will have some blades that were put away at the end of last season without any protective oil and forgotten? 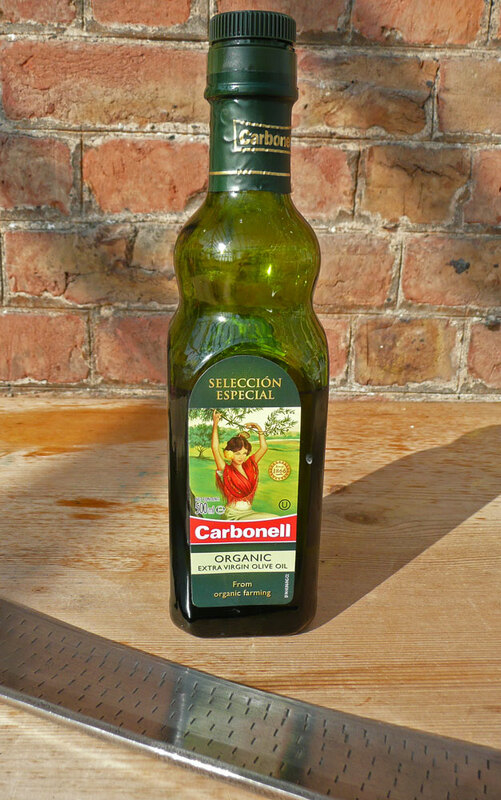 For those of you who have managed to stay with me this far there follows a few more tips and details on cleaning and oiling – and why olive oil? 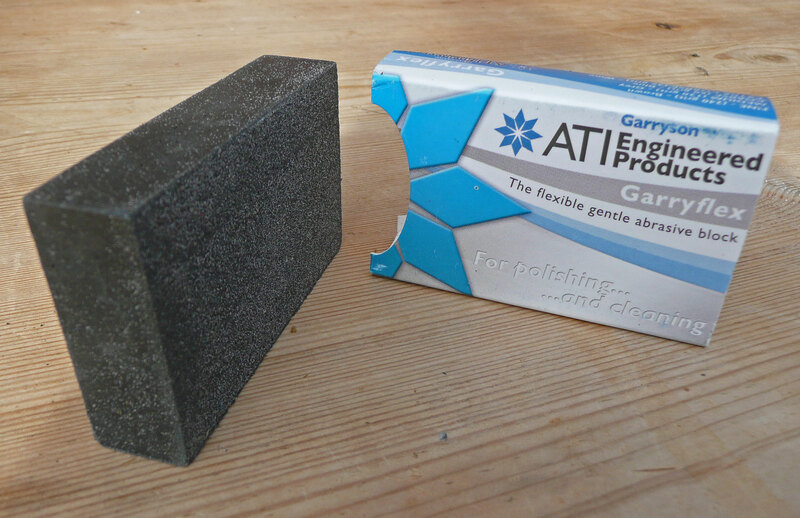 The garryflex rubber block impregnated with abrasive grit is the main tool for cleaning and polishing scythe blades, and is particularly useful, if not essential, for preparing the blade edge for freehand peening. 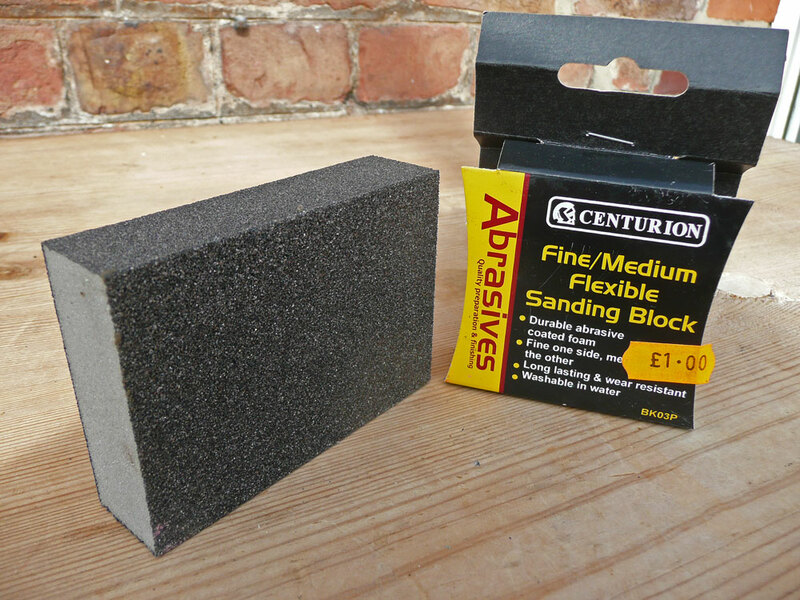 Remember to hold blocks firmly with fingers clear of working face. Use edge-on for more clearance, especially working along the edge. Better to slice the block than your fingers! 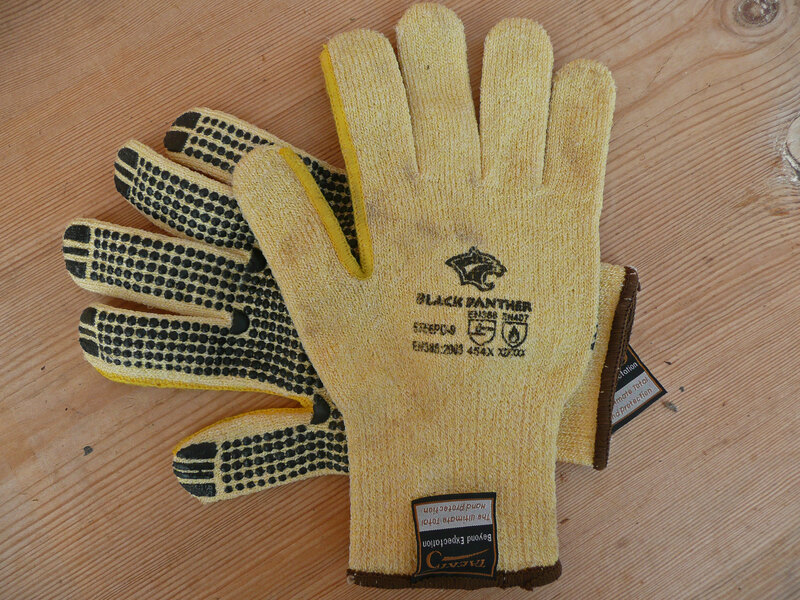 Or, wear cut resistant Gloves with a rating of 5 for cut resistance. Exposed steel will rust very quickly; overnight, if put away wet, especially if dirty and contaminated with salts from the soil. Light superficial rust is easily removed, but it is easier to prevent rust formation than have to deal with it later. 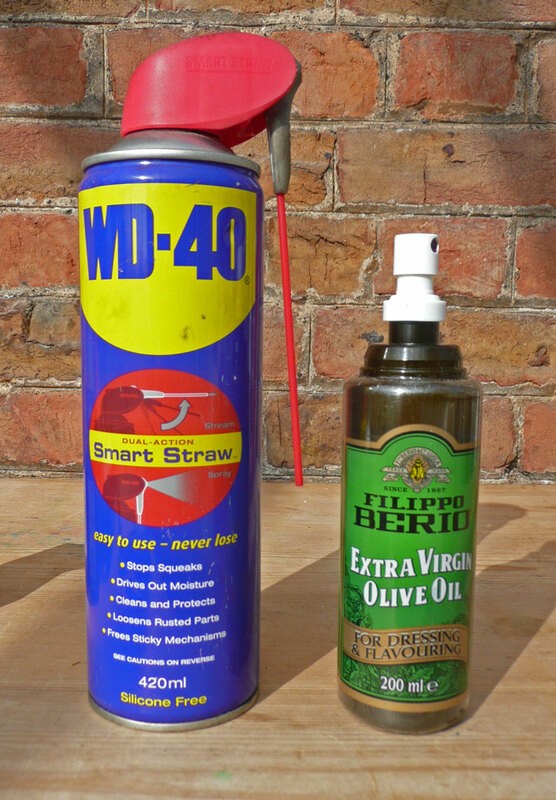 WD40 is fine for a light coating between use in summer. It does not seem to clog whetstones. In my experience it does not hold long enough to prevent rust through a winter, especially if blades are stored in outbuildings. Engine Oil is OK for winter storage but is a bit messy and needs to be washed off before use in spring. Gun Oil should be quite suitable as it is designed for this kind of protective application. Vegetable oils can leave sticky residues which potentially clog whetstones. Linseed oil in particular polymerises and hardens on drying to form a resinous skin which can be difficult to remove and will clog stones. Linseed is fine as a breathable protective skin for the wooden parts of scythes. If you think scythe owners have a problems preventing rust, have a thought for medieval knights and their intricate steel plate armour. What do they do after a sweaty joust to prevent their shiny suits (technically called harness) rusting? 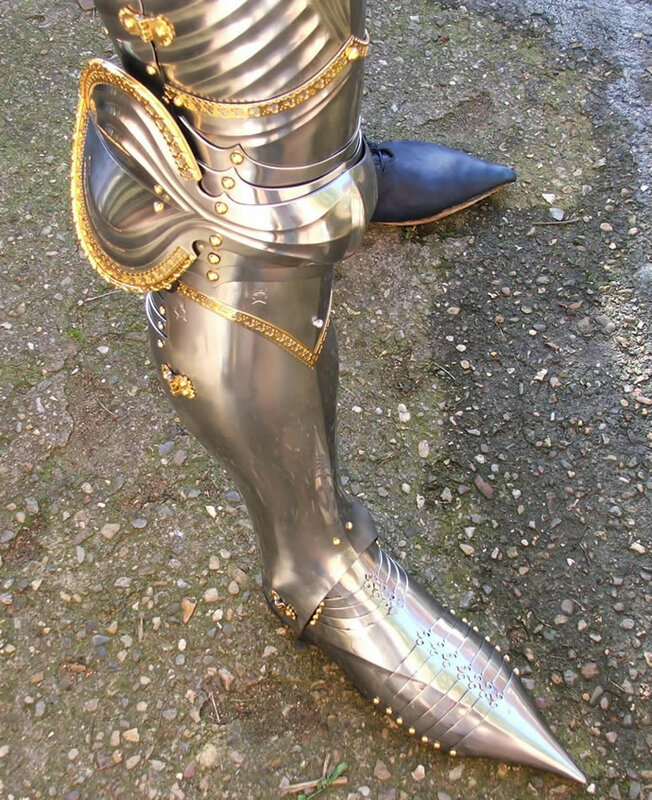 For an answer to this question I asked my cousin William West who forges authentic reproduction plate armour from steel (example pictured). Answer: Olive oil. Immediately after each use the harness is religiously and carefully cleaned then coated with a fine coat of olive oil. It protects well he says, but does not leave a residue. So there you have it my answer to why olive oil! 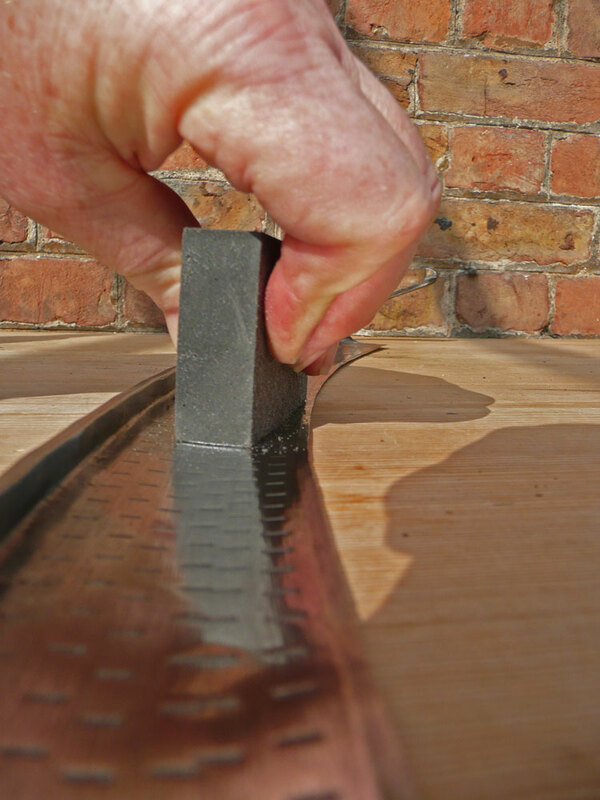 This entry was posted in Sharpening & peening, Uncategorized and tagged scythe peening. Bookmark the permalink. Nice one Richard. I tried to comment on the YouTube video but it wouldn’t let me. Came across as completely obscene – but I loved it! I just produced it in the drizzle type way they do in food adverts. The rest is in the mind of the beholder .. if you love scythes!